75 years ago this week, Japanese planes attacked Pearl Harbor and other targets on O‘ahu, leading the United States into World War Two and changing life in the islands forever. All this week, Hawai‘i Public Radio is airing remembrances of some of our neighbors who were on O‘ahu that day as well as others who have ties to the islands. You can hear these pieces on Morning Edition and All Things Considered, and after they air you will be able to find them on our website. This week we’ve been marking the 75th anniversary of the Pearl Harbor attack with a series of recollections from people who lived through it. The days following the violence of December 7th brought further challenges. For the nearly 40% of the population that was of Japanese descent, there was another concern that added to the uncertainty—worries about being taken away by authorities. It was a topic our Morning Edition host Derrick Mālama talked about with his mother, Annie Shirabe Mālama. 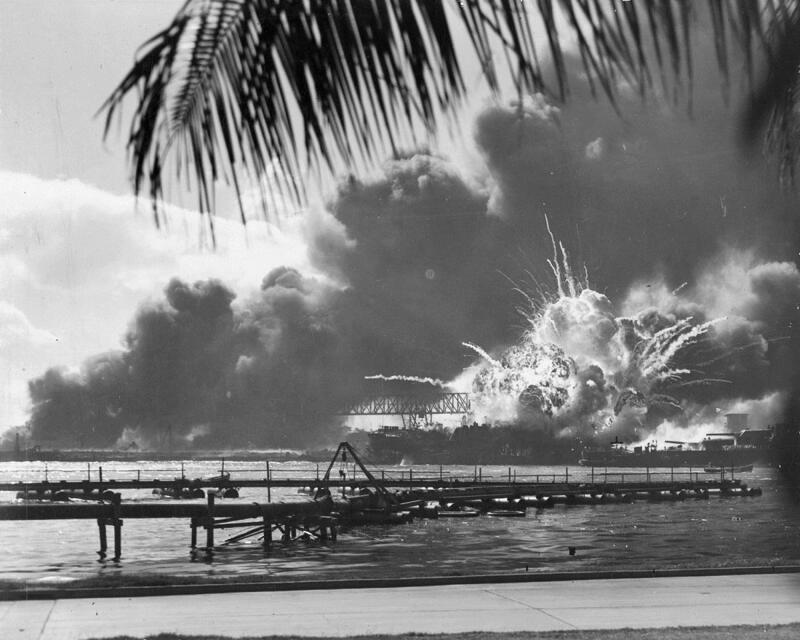 75 years ago today, Hawai‘i was still reeling from Japan’s surprise attack on Pearl Harbor. Life had already changed for local residents and it was going to change more—whether people lived in the city of Honolulu, on the plantations, or anywhere else in the territory. Ray Sekiya was born in Kunia Camp, near Schofield Barracks. He wrote down some of his memories about the immediate days after Pearl Harbor and the weeks that followed and he recently shared them with HPR. This week we’ve been marking the 75th anniversary of the Japanese attack on Pearl Harbor, in part by hearing the voices of many who lived through that day and the weeks and years that followed. For residents of Hawai‘i, the attack marked a turning point. Life changed in many ways—including the way people went about their daily activities. Our Morning Edition host Derrick Mālama heard some details about that from his mother, Annie Shirabe Mālama. 75 years ago, word of the Japanese attack on Pearl Harbor spread unevenly across O‘ahu. After Pearl Johnson heard the news, normal life ground to a halt. And her family spent the rest of the day together at their home in Pauoa Valley. We’ll have continuing coverage of today’s ceremonies and other voices of Pearl Harbor marking the 75th anniversary of the Japanese attack.